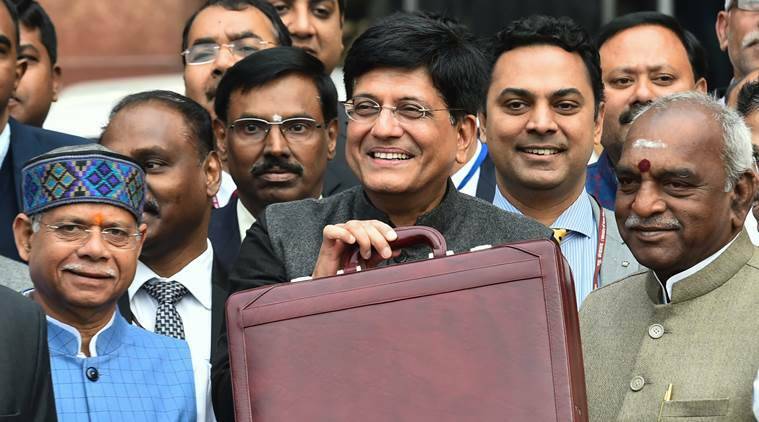 Budget 2019 Personal Finance LIVE Updates: Acting Finance Minister Piyush Goyal will be presenting his first budget on Friday and despite no hints being offered on what to expect, tax benefits were expected. The Finance Minister has announced the raising for gratuity limit from Rs 10 lakh to Rs 30 lakh. He also announced the creation of a new pension scheme for employees in the unorganised sector. The Finance Minister talked up the various schemes that the government had undertaken to reduce the burden of income tax on the middle class. And then came the benefits. All those earning less than Rs 5 lakh will get a full tax rebate. There is a reduction in standard deduction. There is tax benefits for interest earned on bank deposits and tax benefits for home sales. Track live updates on how Budget 2019 will affect you as acting Finance Minister Piyush Goyal presents it in the Lok Sabha at 11 am. Dr DL Karad, national vice president of the left-leaning Centre of Indian Trade Unions (CITU), termed the Rs 3000 monthly pension scheme for unorganised workers an election jumla. “There is no clarity about the implementation of the scheme. If a worker, who is now 59 years old, pays Rs 100 for next one year, will he be eligible for the pension scheme ? Besides, the large number of workers in the unorganised sector are not registered with the government authorities. It means they will be deprived of the shceme. Also, the government has completely ignored the contract labourers and scheme workers, who are demanding minimum wages and increase in honorarium respectively,” Karad said. For making more homes available under affordable housing, the benefits under Section 80-IBA of the Income Tax Act is being extended for one more year. These are only for homes built under affordable housing schemes. The tax rebate offered to those earning up to Rs 5 lakh does not impact other tax payers. Tax slabs have been retained as is. Which means unless you’re earning up to Rs 5 lakh, there’s no obvious benefit for you from this announcement. It will have some impact for those whose salaries are under Rs 10 lakh as they can add home loans and tuition fees to get additional benefits. Middle class salaried people watching #Budget2019 from start to finish. 1. Middle Class b4 FM Speech. – The benefit of rollover of capital tax gains to be increased from investment in one residential house to that in two residential houses, for a taxpayer having capital gains up to Rs 2 crore rupees. However, this can be exercised once in a lifetime, the acting Finance Minister said. – If you pay rent up to Rs 2.4 lakh then there will be no TDS on it. – those with income less than Rs 5 lakh will get full tax rebate (it was 3 lakh earlier) They will not have to pay any tax. Finance Minister returned to tax announcements and started by thanking tax payers for paying tax. He pointed out the various things that tax income was funding. “Thank you tax payers,” he said. “it is then equitable that some of the benefits be passed to middle class tax payers…I propose to reduce the burden on these tax payers,” he said. Reducing burden on middle class has been a focus, Goyal said. He then spoke of all the tax rebates that had been given so far to salaried employees in its term. Also all the benefits provided to small industries and companies. But no announcement on tax rebates for now. Will there be any benefits announced later in the budget? The Finance Minister said there has been a 80 per cent increase in the tax base in India which he says has served the poor and helped develop infrastructure. He then touted the benefits of the I-T department going digital, with 99 percent of the returns being filed online. The Finance Minister has raised the gratuity limit from Rs 10 lakh to Rs 30 lakh. Earlier only Rs 10 lakh of gratuity amount was tax-free but that has now been raised to Rs 30 lakh. Gratuity is money paid by an employer to an employees who complete 5 years or more with a company. Monthly pension of Rs 3000 under a new scheme for unorganised workers after they turn 60. They will have to contribute just Rs 55 a month in some cases. Rs 500 crore has been allotted for the scheme. The Finance Minister has announced a new scheme to provide direct income transfer to small and marginal farmers. The scheme will provide Rs 6,000 per annum to farmers directly in their accounts. There are additional allocations to other farming schemes. Benefits for farmers who repay loans. More benefits under the Kisan credit cards. The Finance Minister is presently listing all the achievements of the Modi government from the Ayushman Bharat scheme to provide healthcare insurance to the providing of electricity in rural homes. All the announcements are being met with thumps on the desk by ruling party MPs. “We have broken the back of back-breaking inflation,” says the acting Finance Minister to thumps on the desk from other MPs. The Finance Minister also spoke about how well the Modi government had handled inflation during its tenure. Among the expectations are that the Finance Minister could raise income tax thresholds from Rs 2.5 lakh to Rs 3 lakh. Another expectation is that people could get further benefits from investing in tools like National Pension System and PPF. There could also be benefits for homebuyers and home owners who give their houses on rent.